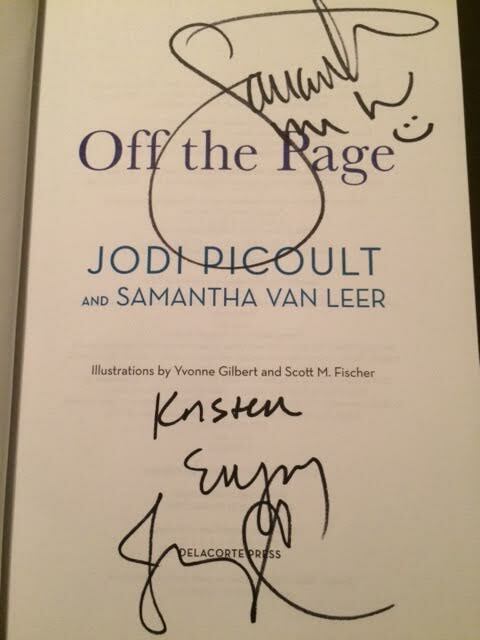 As I mentioned in a previous blog post here, my favorite author is by far the lovely Jodi Picoult. In my opinion, she is pure genius! Her books are easy to read and they always have a fun, exciting twist at the end that leaves me with my jaw dropped open. 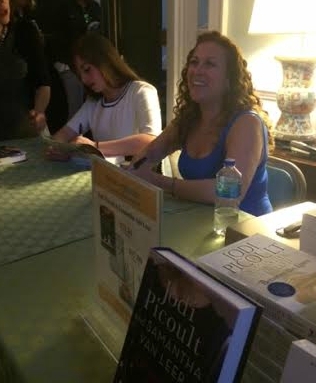 Jodi Picoult was recently doing a book promotion and signing with her Daughter in Massachusetts, so I immediately jumped on the opportunity to meet her! They were promoting their second book that they wrote together called "Off The Page". This book is geared towards young adults and I have to admit that even though I have an autographed copy, I have still not read this book yet! Jodi was super friendly and had a "carefree" vibe about her! 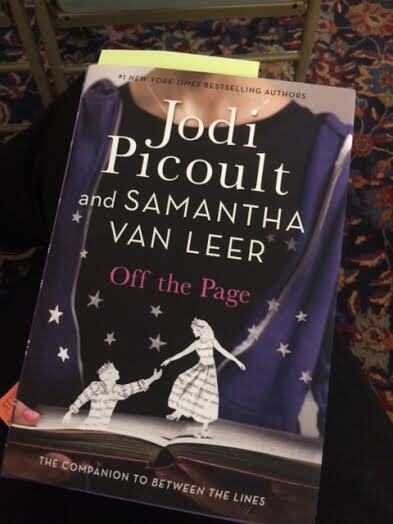 Have you read any of Jodi Picoult's books! ?